I’ve had two periods of maternity leave and returning to work after having a baby doesn’t get easier the second time! 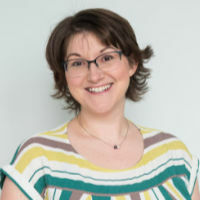 I did do a little freelance work during my maternity leave, supported by my wonderful family, and my book, Shortcuts to Success, was published. But after that it was time to take it up a gear and get back to work properly. I learned a lot about how to make the transition back to the workplace as smooth as possible for everyone involved. Whether you’re planning to return to work soon or you’ve just started your maternity leave and are thinking ahead about how to make the transition back to the office easier, these tips will help you manage your work and your colleagues, and balance your new responsibilities at home. 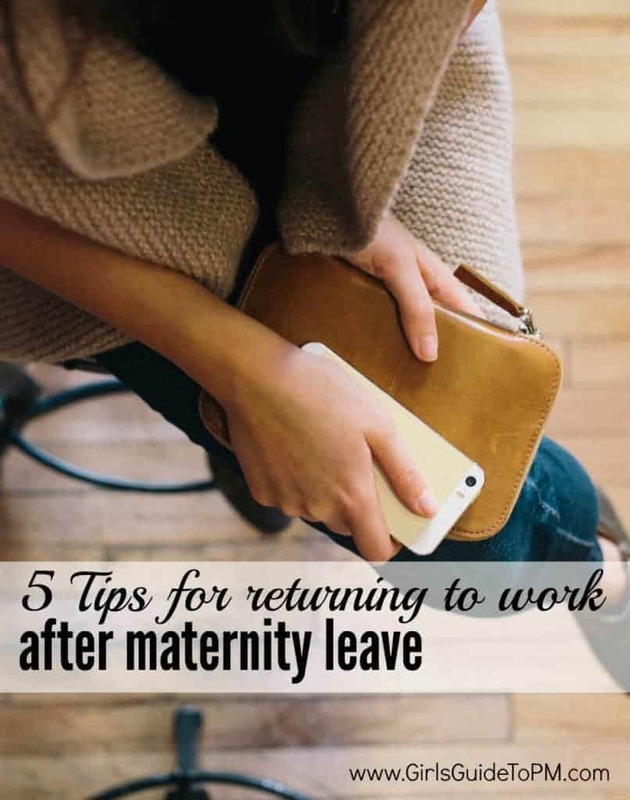 Here are my 5 tips for returning to work after maternity leave or a career break. If you had someone cover for you while you have been away, make sure that you get a proper handover with that person. Don’t let your cover person leave too soon. Keeping your cover person on when you return to work is a cost for your company, so expect them to want you to do as short a handover as possible. However, two weeks is good, if you can negotiate it. Use the handover time to get them to introduce you to any new project stakeholders or team members and to review the status of your projects. This guide to how to pick a project from someone else will help you make sure everything is covered. Returning to work involves paperwork (doesn’t everything?). If you have worked your Keep In Touch days during maternity leave (in the UK you are entitled to 10 days of paid work without losing your maternity benefits – these are KIT days), then get your KIT paperwork in so you get paid. Work out your holiday allocation as you’ll probably be returning part-way through the holiday year. If you were entitled to accrue holiday or to any paid leave during your time away, do the forms for that too. Many people return to work part-time after maternity leave, so if this is a consideration for you, get your request for flexible working in as early as you can. This gives your manager plenty of time to review your case and make a decision about whether they can support your request for flexible working. Remember, in the UK your manager has an obligation to consider your request but they are not obliged to accept it. As much as you’d like to slot right back in where you left off, that isn’t going to happen. Your projects have moved on, so accept it. Some of your projects may even have finished, and you could have missed out on the celebration! That might leave you worrying about what you are going to work on next. You might be asked to take on a project that is already in progress, or to start something completely new work. Either way, you’ll have to get your head around the fact that the people you worked closely with on your projects might not need your help any longer. Embrace what’s coming next! If you are returning from maternity leave, it can feel like a crisis of confidence. After all, you’ve been out of the workplace for anything up to a year (and in some countries it could be even longer). In that time some days your biggest achievement has been making sure everyone is up, washed, dressed and fed. How will you cope going back to the office? Will you remember your passwords? Or even your own phone number? Trust your skills. For the last 9 months or so you’ve been project managing a family in transition. You can do your job – you have been doing it, albeit with different stakeholders. So chill. The office will have you back with open arms and you’ll fit right in. If you are at all worried about your abilities, read this ebook on Imposter Syndrome. It will help you realise that you’re not alone in feeling out of your depth and give you some strategies to help you manage and overcome those feelings so you can be as awesome as you know you should be. Your priorities have changed. Whether it was a career break or maternity leave, you aren’t the same person that you were before you left. Whether you return to work full-time or part-time, be kind to yourself, your partner and your family. Take it easy and manage your return to work as a gradual transition. I know that a team can also be apprehensive about a returning employee. The have been getting on with projects and are used to the autonomy. How will this change? Adam, thanks. So far my team have been OK about me returning! At least, they haven’t said anything to me… It is something important to consider, especially if opportunities for promotion have come up for them and they aren’t in the same roles as they were when you left – they’ll want to know that you’ll treat them appropriately given their new responsibilities. I’d be interested to hear other people’s take on this too. Elizabeth, I think it’s great you are hosting open discussions on this topic. I get this question all the time from my readers. I feel like I started preparing for my maternity leave 3 years before it ever even became a possibility. Writing and creating a new business model helped me create a part-time work-at-home option that leaves me lots of flexibility, but that’s not an option for everyone. As far as returning to work, I think it’s important to take time ahead of leaving and upon return to invest in relationships with your stakeholders, management, and project team participants. Like so much of what we do, if you have strong individual relationships a lot of other challenges get smoothed out. Thanks, Laura, those are good tips. I too have gone down the part-time work-at-home option which, a few months in, seems to be working out OK although my family and I still have some thinking to do about the long term. I know it’s not an option for everyone but so many business models are changing that I think this is likely to become more and more common as people turn to portfolio careers instead of a job for life. One thing I’m struggling with though (being part-time) is investing that time in relationships. Do I do the job, or do I engage in the chit chat? It’s a balance of both but I know my time at work is so precious that I have to really focus and get through my tasks. But without the relationships, those tasks become more challenging! This is a problem I never thought I’d have, but I suppose the answer is to realise that relationship building is work, even though you don’t get to tick a task off the task list when the chat is done.